Are you struggling to find your place on agile and Scrum teams? Are you having trouble with user story writing or with effective estimation and forecasting? Do you know how a Business Analyst contributes as a Scrum Team member? Do your leaders actually understand the underlying principles? Are they measuring things properly? And what about your business partners. Are you delivering products that delights your customers? If you have questions, any questions, about how to improve specific practices or generally how to improve your agile journey, then this talk is for you. Join Ryan Ripley, an agile leader, practitioner, trainer, and coach, as he does something quite unique. Instead of a canned presentation, Ryan will customize the tutorial to the needs of the participants—gather your questions, create a backlog, and work to answer all your tough questions. And his advice will not in any way be academic or purist in nature. You’ll be met with sage, pragmatic, and real-world experienced advice—world-class agile coaching advice. 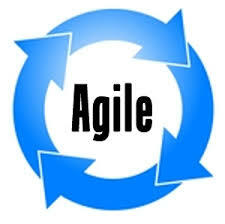 And you’ll take away many practical ideas to help you take your agile and scrum practices to the next level! Speaker: Ryan Ripley is a Professional Scrum Trainer with Scrum.org, He has experience as a software developer, manager, director, and ScrumMaster at various Fortune 500 companies in the medical device, wholesale, and financial services industries. Ryan is committed to helping teams break the cycle of “bad Scrum” so they can deliver valuable software that delights their customers. The host of Agile for Humans, the top Agile podcast on iTunes, Ryan lives in Indiana with his wife Kristin and three children. He blogs at ryanripley.com and is on Twitter @ryanripley. Ryan loves talking about all things Agile and promises not to speak in the third person if you come up and ask him a question.